Another incidence of assault against doctor came into light in the capital today. And this time, the incident came from none other than AIIMS, the most prestigious medical institution in the country. The incident is that of one Dr Pawan Kumar, a resident posted in the emergency of AIIMS. According to his complaint, Dr Pawan Kumar was posted in Ultrasound room when one Roshan Lal Bhati brought his father at the Ultrasound room at around 10 AM with a requisition for ultrasound KUB (kidney urinary bladder). “Bhati’s father had benign prostatic hyperplasia for which he was operated five years back and was now presented with dribbing of urine. He had dribbing of urine and so we doubted the indication of the ultrasound since he did not have a full bladder sensation. “I told him to go to the ultrasound requesting doctor for a review of the indication of the ultrasound. I also wrote my mobile number on the ultrasound form for any clarification by the treating doctor,” Kumar said in the complaint. According to the doctor, Bhati then brought along a guard posted at emergency to “request me to do the ultrasound”. “I made him understand that probably the scan is not indicated and even went till the main counter of the surgical casualty to discuss the case with my clinical colleagues. “The surgical CMO posted there told me that in case of dribbing of urine, the scan is not indicated and we will review the case after foley’s catheterisation,” the doctor said in his complaint. According to the complaint, Bhati got abusive and physically aggressive and even slapped the doctor. The entire incident was caught in CCTV camera of AIIMS emergency, the doctor said as he demanded strict action against Bhati. Police in Delhi have lodged an FIR against the relative of a patient at the AIIMS hospital, following the complaint of the doctor. “We had received the complaint yesterday. The complainant, who is a resident doctor posted at the emergency ward of AIIMS, had also submitted us the footage of CCTV camera of AIIMS emergency. We lodged an FIR today,” a senior police officer said. 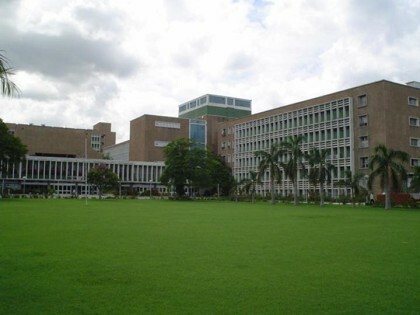 Describing it as a “highly condemnable and shameful act”, the AIIMS Resident Doctors’ Association has demanded strict action against the accused.